Sony Ericsson U5 pops up – Kurara again? 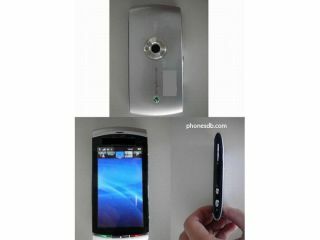 Sony Ericsson's Kurara coming soon? A new filing from Sony Ericsson has hinted at a new smartphone from the company in the coming months. The FCC has received an application for another phone from the manufacturer, with the moniker of U5i. With the Satio being called U1i in official code, it makes sense that a lower-spec version of that phone is coming out in the coming months, likely announced at MWC. The 8MP-camera-toting, Symbian-running Kurara has been mooted for a number of months, and seems the most likely candidate for the role. With Samsung seemingly taking a back seat in the Symbian game in light of its new love for its Bada platform and Nokia possibly downgrading Symbian to mid-range handsets in the future, Sony Ericsson could come in and really drive Symbian forward. The company needs some big-hitting handsets, after the Satio and Aino came under strong criticism for firmware faults on release, so evolving the Symbian platform might be the way forward for Sony Ericsson.